Hello everyone! Today we bring you some of the best cost-saving tips and tricks we know of. Weddings can get expensive quickly, and staying within budget can begin to seem impossible. Read on for some simple ways to cut back without compromising your vision! This is one of the absolute best ways to cut down on costs- not only will you save on the price per head for dinner, but also on the alcohol, chairs, silverware, glasses, plates, favors, and much more. Feeling like you will hurt peoples feelings, or even worse offend them? Try cutting out certain groups completely. For instance- children, coworkers, or the “plus one” option for singles. 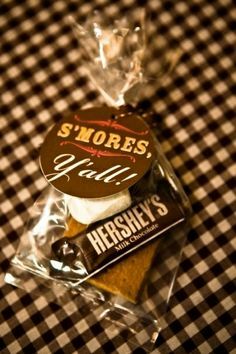 DIY favors are a fantastic way to save money and help cut costs. Candles, baked goods, and soaps are all great options! See here for more ideas. Don’t think you will have the time to assemble them all? Enlist friends and family members to help and make it a party! 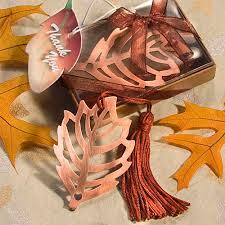 Another great way to save is to have your favors also double as seating cards. Try using mini potted plants, mini champagne bottles, mason jars or another personalized glass, or anything else you can dream up. Attach a name card or sticker and you’re done! Both of these usually get glanced at and then thrown away. Try using a large chalkboard on an easel to display your ceremony program, or a small chalkboard or framed picture of your menu on the table. Another great way to to save money is to cut back on flowers; these are usually quite expensive, and get thrown out at the end of the night as well. An easy alternative is to DIY them, (use small potted flowers or even a small window box). You can also visit a local pick-your-own flower market, or order them in bulk from a wholesaler. Purchase bud vases, and put a few stems in each; simple, chic, and cost effective. 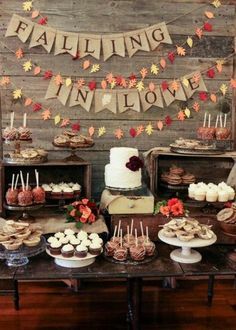 Having a dessert buffet instead of a traditional tiered wedding cake is another easy way to save. Pies, cheesecakes, cupcakes, cookies, and ice cream sundae bars are just a few of the items you could choose. If you still want a traditional cake to cut, you can get a small, simple, one tiered cake. This will give you the moment you want, your guests options for dessert, and will save you money. Websites like wedding-recycle.com, bridalgaragesales.com, and tradesy.com are amazing resources! Find centerpieces, candles, linens, lighting, and just about anything else you can imagine for bargain prices! Bonus- consider selling items you have leftover from your wedding; after all, what are you going to do with 200 votives? We hope this has given you a few helpful and easy tips to manage your costs! If you’re still feeling overwhelmed by your budget and could use more advice, you can contact us at info@everylittledetails.com to schedule a consult. Happy Planning! We love the idea of candles as favors as there are so many different votive, label, and scent options to personalize them! Try tying in your scents with your season; use apple or pumpkin for fall, floral scents for spring, clean scents for summer, and pine or cranberry scents for winter, or of course you can forego a scent altogether. You can find a few options to buy them here, or if you love DIYing check out this tutorial. If you love your signature drink then this is a great option for you! Try packaging in a quirky bottle with a fun ingredients/instruction label. If you’re worried about them not being refrigerated, try adding just the nonperishable ingredients and alcohol and letting your guests add the other ingredients at home. Are you and your fiance hot sauce connoisseurs or BBQ sauce lovers? Or perhaps you love maple syrup? These can be purchased already bottled with your own personalized label. You could also buy small bottles of your favorite brand and attach a personalized label or tag. This idea is great because it can work for any type of sauce or dressing! These are a great option for your guests- because after all, who couldn’t use a bottle opener? Bonus- many of these would be easy to attach a place card to! They can all be found here. A fun and quirky way to help your guests capture memories of your day! They would also be great if placed on a guestbook table- let your guests take photos throughout the night and then take them home with you and develop later. We found them here. Along the same lines as the signature drink idea- but a bit less work for you! Get your favorite champagne, or for a non alcoholic option a sparkling cider. Champagne found here and here. A quick and easy option- personalize or add a gift tag and you’re done! Both found here. We hope this has given you a few new ideas to think about! Like one of these ideas but don’t think you’ll have the time to put them together? Contact us at info@everylittledetails.com to find out how we can help! Happy Planning! Today we wanted to take the time to share a few of our favorite local outdoor venues with you. These aren’t always seen on the bigger venue-finding websites, and we think that they deserve a bit of spotlight. By no means is this a complete list, but it’s a start! If you are still searching for a venue and none of these appeal to you, here are a few helpful websites: Wedding Wire, Wedding Spot, and The Knot are all good places to begin. Please note- the following are in no particular order, we love them all! A Private Estate has river and mountain views, a Historic house, a beautiful barn (150 guests without tenting), a Carriage House available to rent that sleeps 10 people, indoor bathrooms, and even a partially furnished kitchen for your caterer! Boasting over 500 acres and bordering on the Taghkanic State Park, this is a great choice. The barn can hold up to 200 guests comfortably, or tent options are available that can hold up to 300. The large house is also available for rent and can sleep 15. Bonus- their packages include tables, chairs, and bathroom trailers. Clermont has plenty of property (accommodates up to 300 guests), fantastic views, a Historic Mansion available to tour during your event, and a budget-friendly cost; what’s not to love? 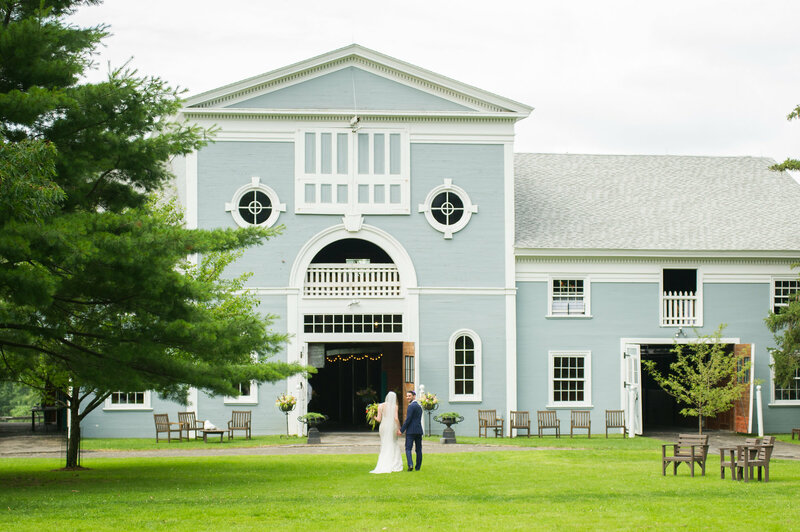 Oak Hill is a good option for a couple planning a smaller wedding, as their barn accommodates up to 150. With mountain views, a gorgeous barn, a separate cottage for the bridal party, and a beautiful garden, Oak Hill is a great choice. This lovely 200 year old barn can hold up to 250 guests, boasts river and mountain views, and has a separate smaller building that is perfect for cocktail hour. Bonus- the downstairs can be used for your ceremony in case of rain. With panoramic views of the Hudson River, a Historic mansion (sleeps 12) or a smaller cottage (sleeps 5) available for rent, gorgeous gardens, and even a pool, Southwood is a fantastic choice for your event. We hope this gave you a few helpful ideas for your wedding, and as always if you find you have questions don’t hesitate to contact us at info@everylittledetails.com. Happy Planning! I am a firm believer in providing your guests with a little favor or gift. After all, they did take off the weekend to travel and come be a part of your big day, but they also of course brought a present; and even may have attended the bridal shower, engagement parties and bachlorette party. My feeling though is give them something they can enjoy or use in the future. There is of course the common Jordan almond pack or a trinket with your names and dates on them, but what about thinking out of the box? Who eats Jordan almonds anyways? 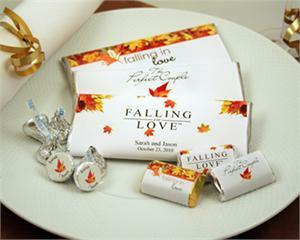 Everyone loves chocolate what about a personalized candy bar with a cute saying on it? They can even enjoy it on the way back to the hotel. Smore kits and hot cider kits are great for a cold winter night at home. 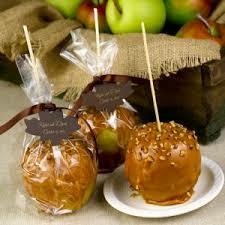 We all remember caramel apples from when we were kids, but when was the last time you had one? 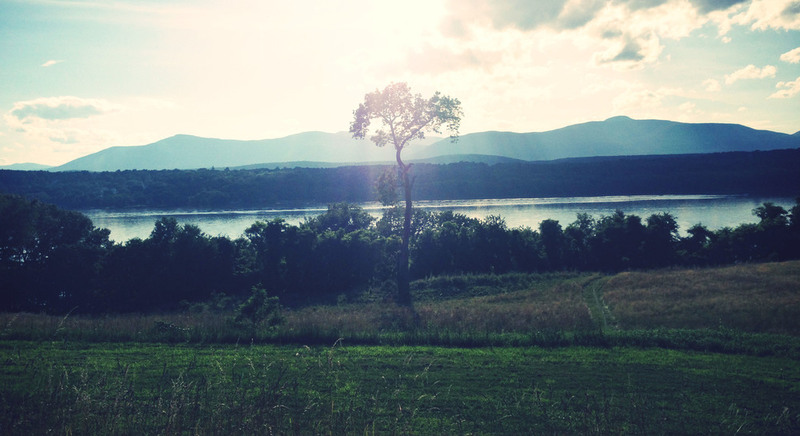 These also represent the Hudson Valley area and gives your guests a little taste of the region. You can still add your names and date of your wedding to this little trinket but your guests can use this cool book mark and remember the great time they had at your wedding. 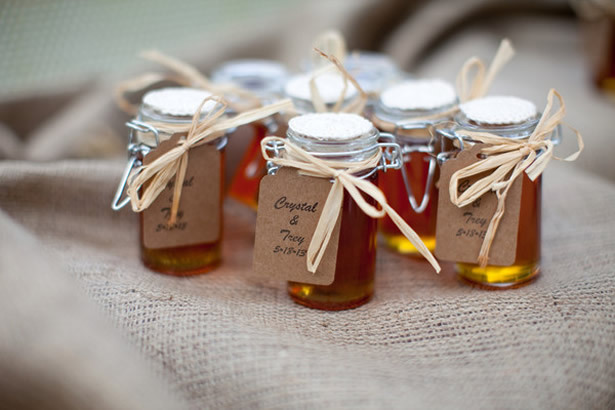 Honey and maple syrup are a great gift to take home that your guests can always use. Another great gift from the Hudson Valley region! 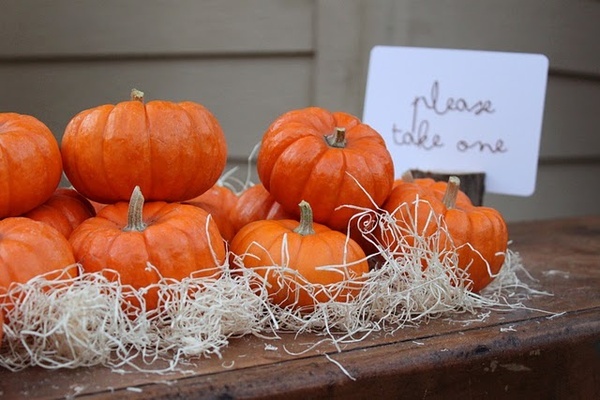 Pumpkins can always be used to decorate for the fall. And who doesn’t love a pumpkin! 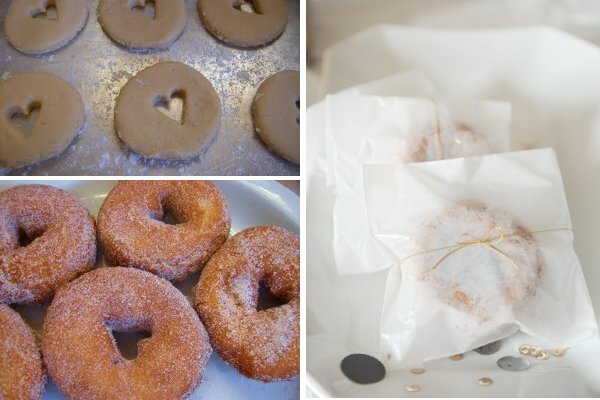 Apple cider donuts are a classic fall treat. Why not create a dessert buffet with to go boxes for guests to take some treats home with them? I know I’m stuffed after a wedding and would love a treat for the car ride home or even the next day. A great new trend right now Cake Pops! You can have them designed any way you want. 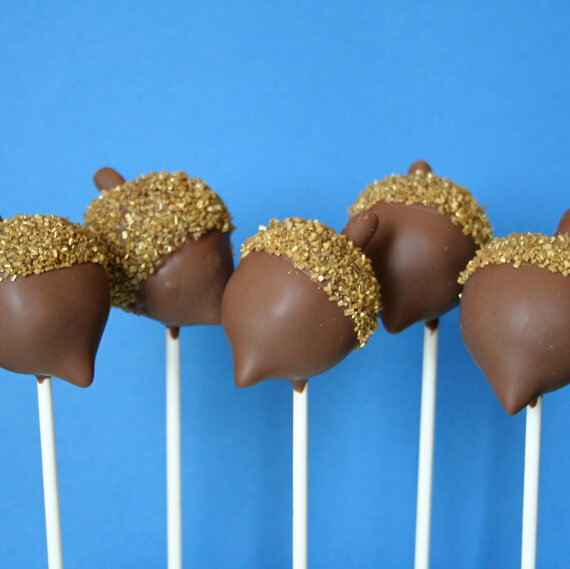 I love these acorn pops for guests to walk around and enjoy or even take them for the road. 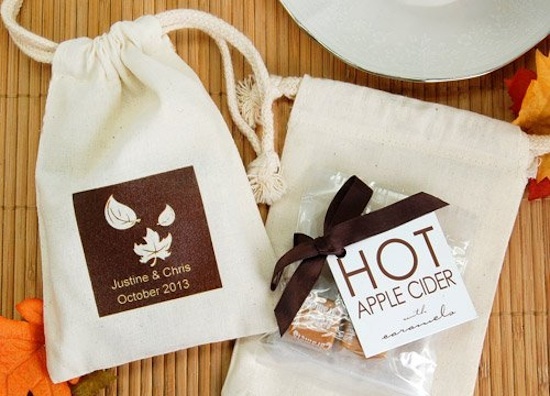 I think as a rule of thumb give your guests a gift they can either enjoy, like a treat, or something they can use!